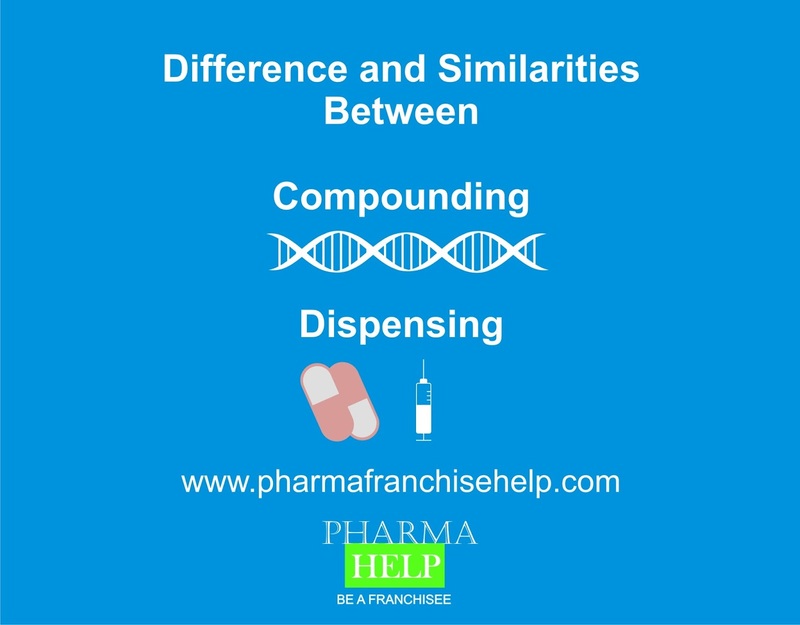 Compounding and Dispensing are two known words used in Pharmacy. Most of new comers get confused in differentiating between these two.Here we are going to elaborate both terms separately to provide better understanding. Related Articles: What does it mean by Compounding, Dispensing, Patient counselling and Pharmaceutical Care? Both processes are performed against prescription of Registered Medical Practitioner. Both could be performed at same place simultaneously (Only in Pharmacy). Both requires supervision and presence of a Registered Pharmacist. Compounding involves preparation, mixing, labeling and packing of a drug/medicine whereas Dispensing involves giving already available packed medicine/drug manufactured by pharmaceutical manufacturers to patient or patient’s caretaker by evaluation of prescription. Compounding could be performed only in Pharmacy whereas Dispensing is performed in Pharmacy and Druggist/Chemist both places. Technical Knowledge is required for compounding, so it must be carried out by Pharmacist itself where as Dispensing doesn’t require deep technical knowledge, so it can be carried out by helper under supervision of Pharmacist. Standard references should be followed during compounding and compounded medicines should be labeled properly whereas dispensing doesn’t necessarily needs standard reference to follow because already packed medicines/drugs involves in the process.